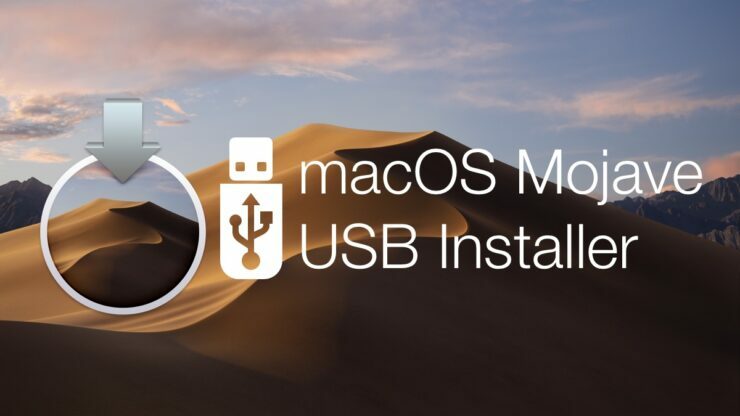 Here’s a step by step tutorial on how to create macOS Mojave final bootable USB installer drive right on your Mac for clean install. Many will choose to create a bootable USB installer drive not just for performing a clean install, but for safe-keeping too. After all, you can’t download the entire OS for a clean install every single time if you have a very slow internet connection at home. So why not just download the OS once, turn it into a bootable USB installer drive for clean installation at any given time? In today’s guide, that’s exactly what we are going to help you create: a bootable USB installer drive, but for macOS Mojave final version, Apple’s latest and greatest operating system for the Mac. Before you go ahead, there are a few things you’re going to need. So read carefully before you do anything at all. Download the macOS Mojave image file from the Mac App Store. Once it’s done downloading, leave it in the Applications folder and do not run it. A 16GB USB 3.0 or USB-C drive, depending on what type of Mac you have. The faster the drive is, the quickly you’ll be over with the installation. 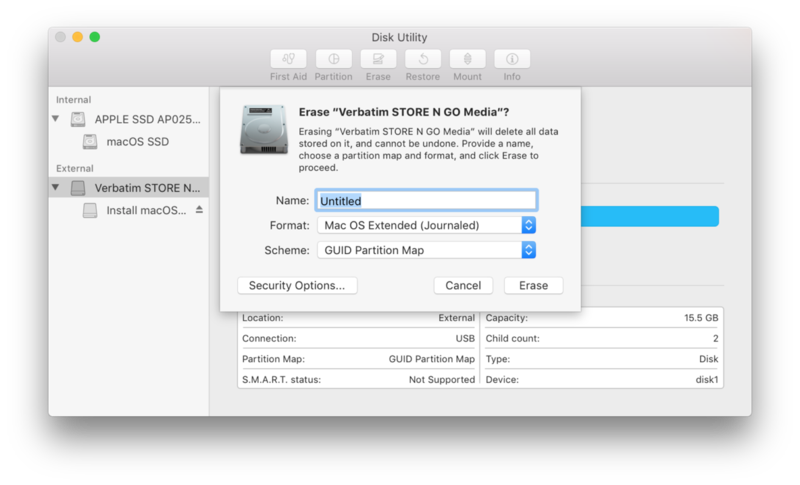 Launch Disk Utility with your USB drive plugged into your Mac. Select the USB drive from the left hand pane. Now click on Erase at the top and leave the settings as show in the screenshot below and then hit OK. Please make sure that the name of the drive is set exactly as shown in the screenshot. Once the ‘Erase’ process is complete, move onto the next step which is outlined below. Leave the freshly formatted USB drive plugged into the USB port and launch Terminal. Once it’s up and running, type in the following command exactly how it is shown. There is no margin for error in here otherwise the installer drive creation will simply fail. Once you hit the ‘Return’ key on the keyboard, you’ll be asked to enter your Mac’s password and whether or not you wish to format the drive you’ve connected to your Mac. So please proceed with your Mac’s password and a yes, of course. This process may take a while so exercise complete patience while the wheels are in motion. Once done, Terminal will prompt you that your disk is ready and then you can either eject it for later or leave it plugged in if you wish to perform a clean install right now.